Have you ever wanted to share something with your friends or colleagues that was more than just a sentence, an image, a video or a link? Did you ever want to create and invite people to an event without limiting it to Facebook? Did you ever want to sell something without having to use eBay or Craiglist? Big websites such as Facebook, Twitter, eBay and your personal blog can sometimes be great platforms for sharing what you need, but many times they are not suitable for the task. CheckThis was created to fill this hole, and allows you to create webpages, events, polls and more in a matter of minutes, and share them with anyone you want. Even creating an account is not a must. CheckThis is a versatile platform, which you can use to quickly create any kind of page you’d like to share. To make things easier, the main page is divided into four categories: Tell, Sell, Ask and Invite. Each option provides a template which is most suitable for that kind of page, but the pages you create are customizable, and you can add any element to any page to create exactly what you need to share. As stated above, you can create, publish and share a page without creating an account, but signing in allows you to easily access your list of websites and edit them later on. If you choose not to sign in, you can enter your email address and have an edit link sent to you. In order to sign in, you’d need to choose between your Twitter, Facebook or Google account. There is no way to create a specific CheckThis account, which is unfortunate, but you can control the permissions you grant the app rather easily. I chose to link Facebook to CheckThis, and revoked the app’s permission to post in my name. You can also change the posting configuration in your profile’s settings. Whether you’ve chosen to sign in or not, you can start creating your first page. The “Tell” option provides you with this simple template. This template works like any other rich text editor, and aside from the title, you can enter your text and format it with the provided tools. You can easily create lists, sub-headers, and other formatted text. Click the green plus icon at the bottom to add more elements to the page. From here you can add more text, images, videos, audio clips, links, maps, and more. You can also add CheckThis apps for polls and payments, which we will get into shortly. In about 2 minutes, I created this [NO LONGER WORKS] page, which I can now easily share with you. People can comment on the page, like it and share it themselves. Use the “Sell” template if you want to sell something without having to post an ad on any of the big (or smaller) websites. The template lets you upload an image of the item you’re selling, post a price, add variants and quantities. The money is transferred using PayPal, but you don’t need a PayPal account in order to use this option. When you publish the page, people can easily see the product, choose the variant they’re interested in, see how many items are left in stock, and, of course, make a purchase. Do you need to find out what a group of people think about a given subject? Why not create a poll and have everyone vote? Use the “Poll” template to insert your question and all the possible answers, and your poll can be online in a matter of minutes. When people vote, the number of votes each answer gets will be indicated next to it, and a progress bar will show the most popular answer so far. The elements on the page are not the only thing you can control in your CheckThis page. Click on the paintbrush icon to change the appearance of your page. You can choose from the different provided textures for your background or upload your own image. You can also change the colors of titles, text and backgrounds, or use one of the provided color palettes. Click the cogwheel to access the page settings. From here you can choose whether your page is public or hidden (only people with the link can see it), and if you want it to expire after a certain amount of time. If you choose never, you can always delete the page manually through your profile (if you’re signed in). Once you publish a page, you can click the Share button at the top to choose how you want to share it. You can also share any of your published pages through your profile page, as well as view them, edit them and delete them. 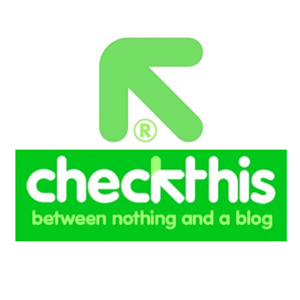 CheckThis is a quick and easy way to share information with a group of people or with the world in general. The interface is intuitive, and in the time it takes to create an account on another website and create your ad or poll, your page could be ready and published. Do you know of similar solutions for quick page creation and sharing? Did you get a chance to try CheckThis? Let us know below! CheckThis looks a very useful resource. I particularly like the "Invite" feature, as Facebook Events is not as user-friendly as it ought to be and (as you say) it's no use with non-FB members. I agree, I liked that one as well. I really dislike Facebook events and I always end up missing them. This could be a great solution. Thank you for this great information. It's good idea and seems is easy to using this website. I will go to check it out.